Sonoma County Water Agency (SCWA) and the Center for Western Weather and Water Extremes (CW3E) at the University of California/Scripps Institution of Oceanography established a Cooperative Agreement for Scientific and Educational Cooperation in July 2014 establishing CW3E-North. 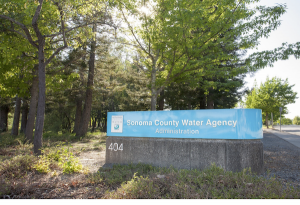 Sonoma County Water Agency (SCWA) provides water for over 600,000 people from the Russian River in northern California. It also supports a vibrant economy famous for its wine and tourism, while at the same time working to restore endangered salmon species. SCWA performs this vital role in the face of a climate characterized by major swings in precipitation, ranging from major flooding to drought. 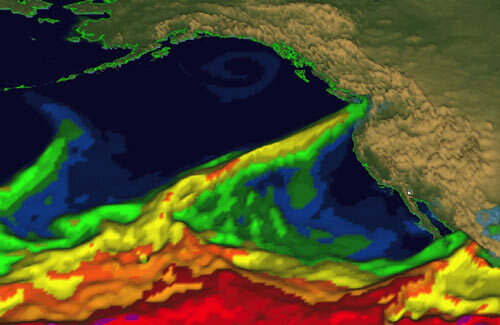 These swings are largely controlled by the presence, absence and strength of atmospheric river storms, a topic for which CW3E provides deep and cutting-edge knowledge. During meetings between CW3E and SCWA it became apparent that key capabilities at CW3E and needs for new information and tools at SCWA were well aligned. This led to the development of joint projects, including some with NOAA and/or USGS, for which it would be advantageous to formalize the relationship in a way that provides space for CW3E staff to spend productive time interacting with SCWA staff and their stakeholders. It also is seen as an opportunity for SCWA to highlight its forward looking culture of innovation geared toward improving its services and stewardship. Specifically, the agreement sets forth to initiate cooperation to further the development of basic scientific and applied research with goals of advancing research in ocean science and meteorology, gaining a more fundamental understanding of the ocean and meteorology, and benefiting society at large. It also aims to maintain and promote channels of cooperation and communication that permit the exchange of academic and scientific knowledge, which will assist the Water Agency in carrying out water supply management more efficiently and effectively and the U.S. Army Corps of Engineers with flood control operations. Three early projects form the initial use of this agreement: 1) study of the role of atmospheric rivers in filling Lake Mendocino and potentially offering predictability to retain water without increasing flood risk, 2) a NOAA-funded climate program office project to study the role of atmospheric rivers in ending droughts on the Russian River, including how this may be affected by a changing climate, as well as development of a drought scenario and drought readiness assessment, and 3) cooperation in developing a feasibility assessment project for the potential use of forecast-informed reservoir operations (FIRO) for Lake Mendocino in cooperation with the US Army Corps of Engineers. Representative of the partnership this important cooperative agreement creates, FIRO Workshops are co-chaired by Jay Jasperse, Chief Engineer for SCWA, and F. Martin Ralph, Director of CW3E at UC San Diego/Scripps.